One of the premier arts colleges in the world, St Martins accepts only a few talented students each year, and is very well regarded in the art, fashion and design worlds. The list of alumni includes literally hundreds of influential artists and designers. All courses offered here are demanding and well-structured, and students will benefit not only from good teaching, but also from a uniquely talented group of fellow students. The college is also extremely well-connected with major employers and influential figures in the worlds of art, design and fashion. Courses offered include: Fashion & Textiles, Film, Video, Animation & Photography, Fine Art, Graphic & Communication Design, Theatre & Performance and Ceramic, Spatial, Product & Jewellery Design. Originally based at Southampton Roe, the college moved in 2011 to a new purpose-built campus in King's Cross. What are the best dining options near Central Saint Martins College of Art and Design London? Central Saint Martins College of Art and Design gyms, sporting activities, health & beauty and fitness. The best pubs near London Central Saint Martins College of Art and Design. Central Saint Martins College of Art and Design clubs, bars, cabaret nights, casinos and interesting nightlife. 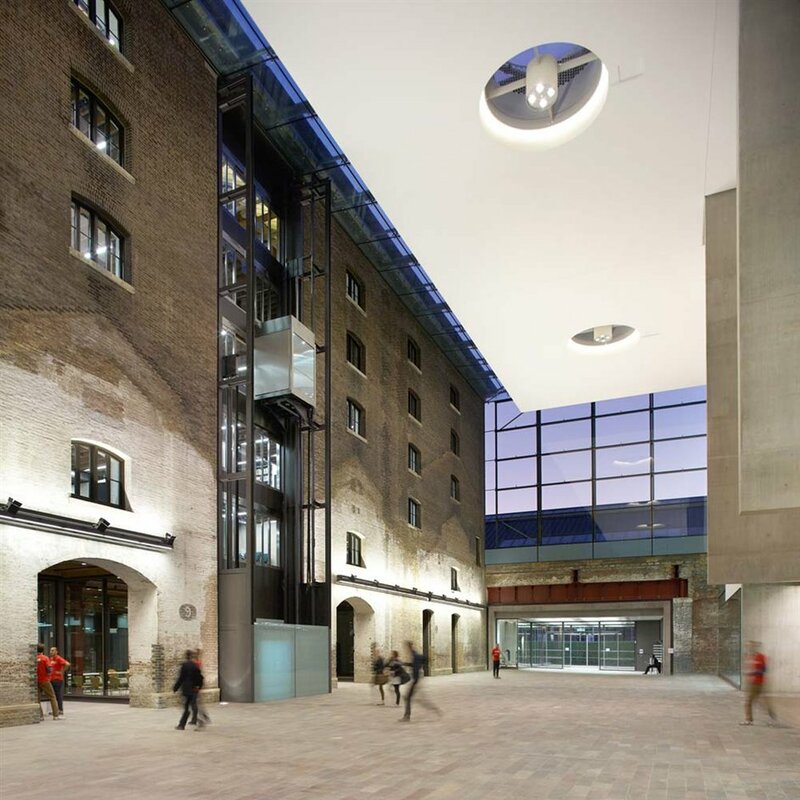 Where to have your meeting, conference, exhibition, private dining or training course near Central Saint Martins College of Art and Design. From cheap budget places to stay to luxury 5 star hotels see our special offers for Central Saint Martins College of Art and Design hotels, including Hilton London Euston Hotel from 73% off.